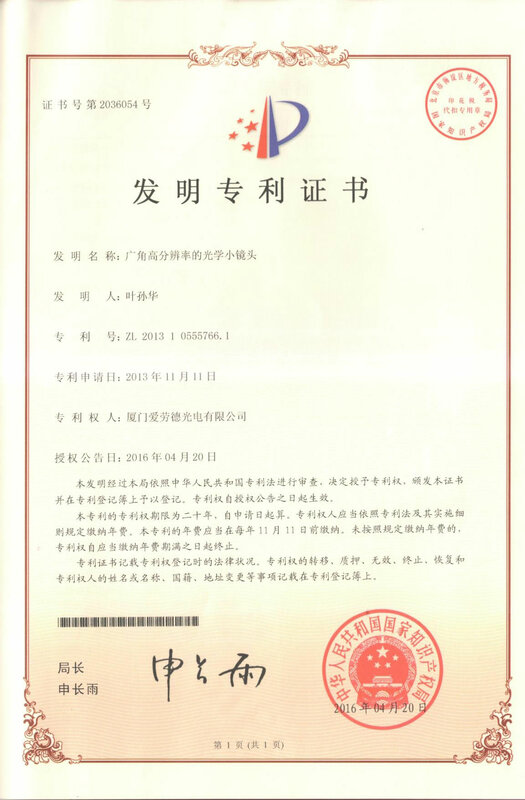 Company Overview - Xiamen Alaud Optical Co., Ltd.
3YRSXiamen Alaud Optical Co., Ltd. 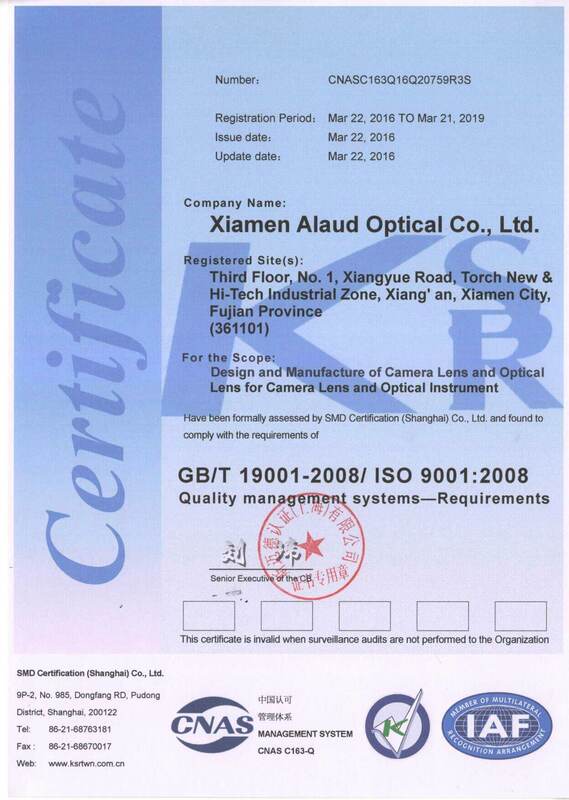 Established in the year 2002, Xiamen Alaud Optical Co., Ltd is committed to design, develop, manufacture and sales of all kinds of imaging lenses. We provide global customers with professional, innovative, excellent imaging lenses and solution. The lenses designed by Alaud obtained eight patents of utility models and two inventions. 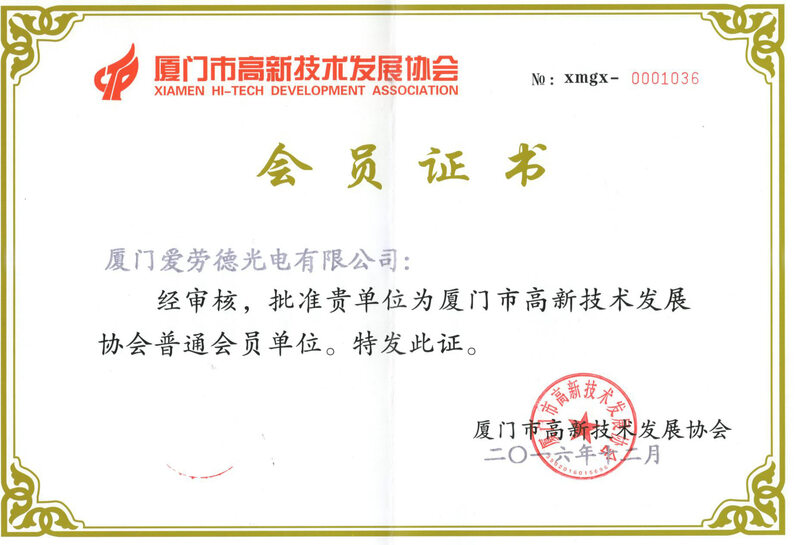 Now the main products are ToF camera lens, fisheye lens, megapixel lens, VGA Lens, low distortion lens, pinhole lens and thermal imaging IR lens. They are widely used for VR panoramic camera, IP camera, Sports DV, Car DVR, covert hidden camera, machine vision medical industry, military, environment monitoring, aerospace and other high-tech industries.Alaud has high standard dust-free production environment and advanced automated production equipment. 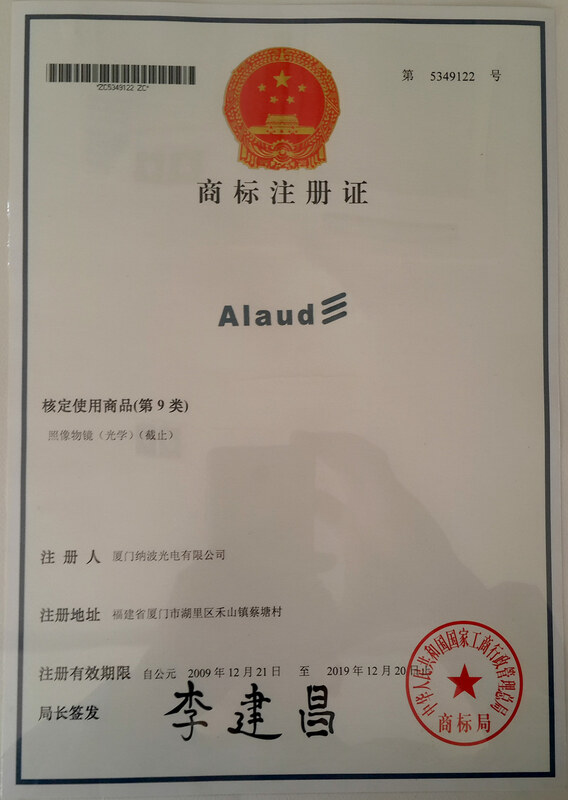 With strong professional design, quality assurance and sales team, Alaud provides global customers with its own brand, OEM and ODM services. 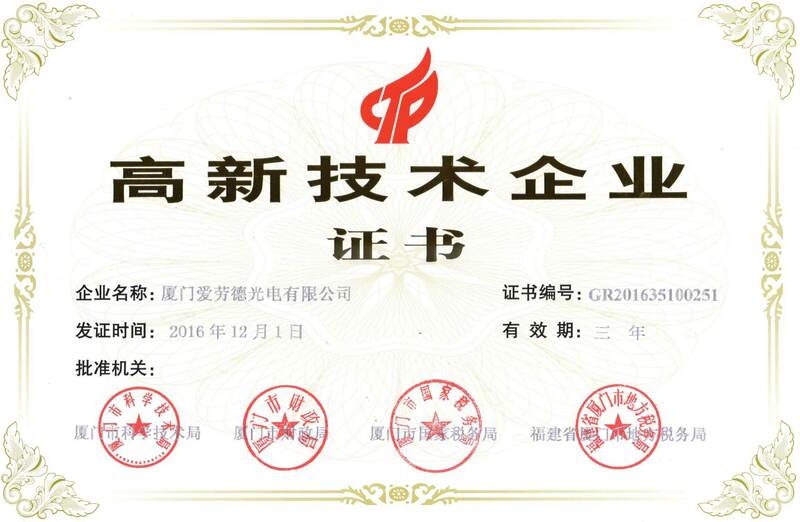 Our corporate philosophy is "seeking for greater perfection & mutual trust and cooperation". 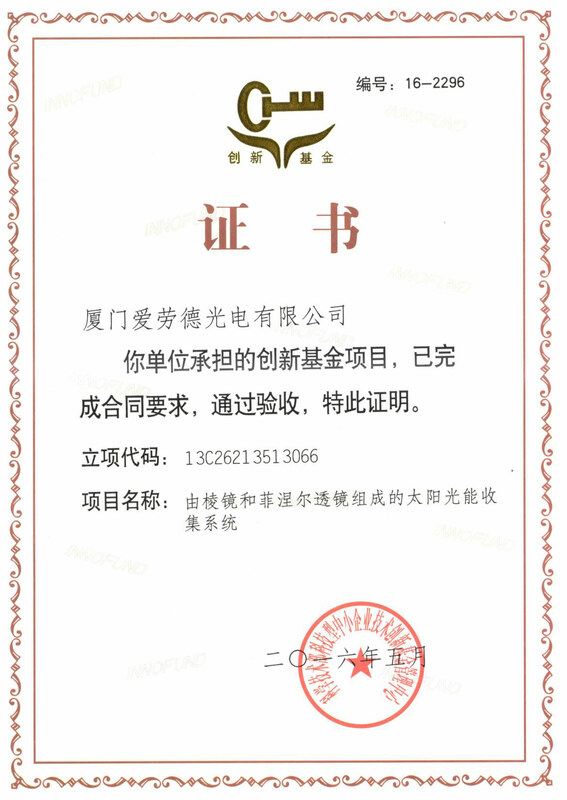 Under the leadership of President Mr. Richard Ye, through great efforts of all Alaud people, Alaud brand has been highly recognized by the customers all over the world. 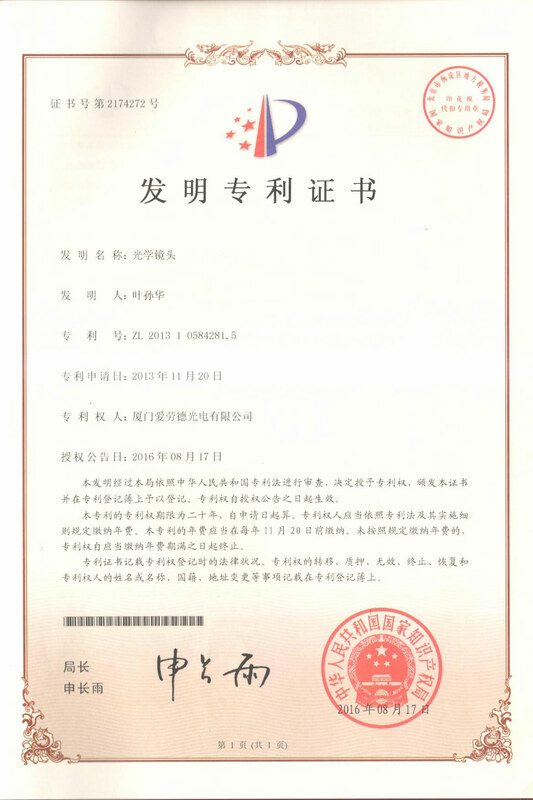 Our lenses have been exported to more than 40 countries and regions. Alaud is always ready to establish friendly and lasting business relations with every possible customer.